Hey guys, keep spreading the word of the show, blog and the forum, I would apprechiate it! Does anyone have any ideas of where I could get word out or anything? 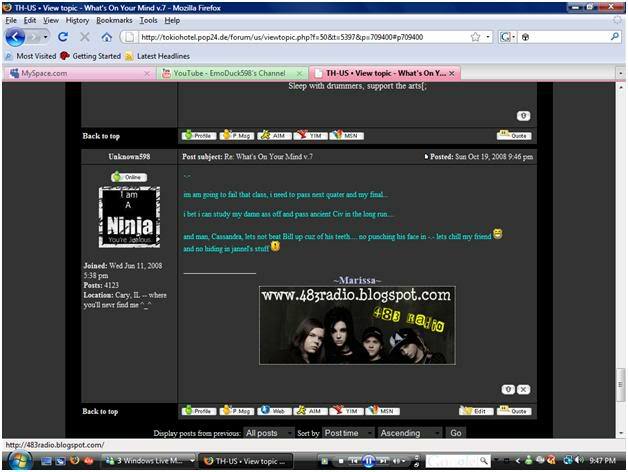 If anyone wants to promote forum, you can put this on site or myspace, etc.